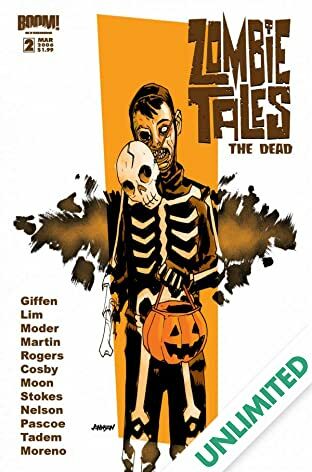 The best-selling horror anthology returns! 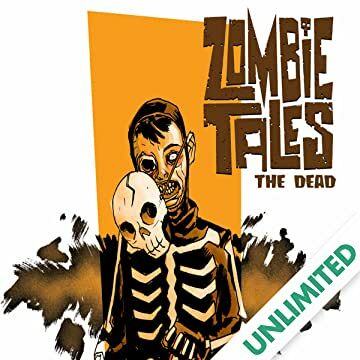 After the big success of Zombie Tales #1 and Zombie Tales: Oblivion #1, the team is back again with more self-contained stories! Keith Giffen leads a team of accomplished returning creators: screenwriter John Rogers (Global Frequency), TV producer and writer Andrew Cosby (Dark Horse's Damn Nation, Sci-Fi Network's Eureka), Comic Book Resources columnist Johanna Stokes, War of the Worlds: Second Wave writer Michael Alan Nelson, and new addition: novelist Jim Pascoe (By the Balls, Five Shots and a Funeral)! Also featuring a cover by 100 Bullets cover artist Dave Johnson, interior art by Lee (Legion of Super-Heroes) Moder, Don (Megaton Man) Simpson, Jeff (Cybernary, Hulk) Rebner, and Fabio (Smoke and Guns) Moon!